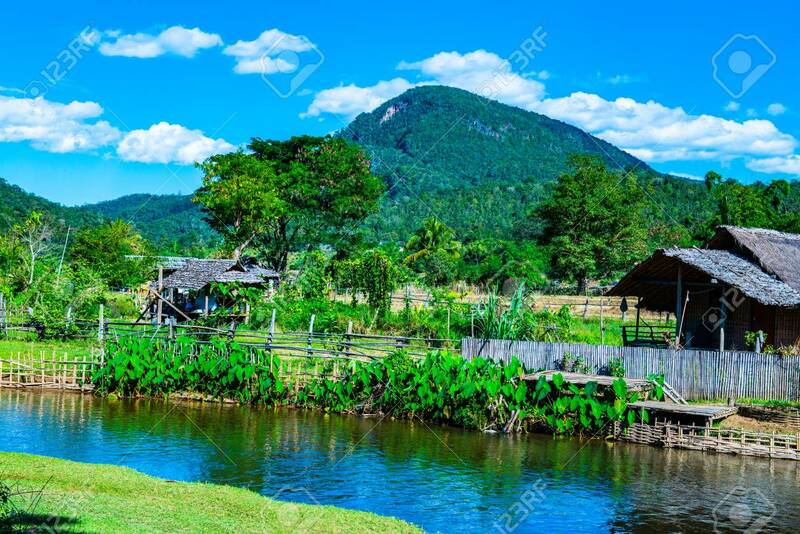 Immagini Stock - Small Canal With Mountain In Mueang Khong District, Thailand. Image 115535845. Archivio Fotografico - Small canal with mountain in Mueang Khong district, Thailand. Small canal with mountain in Mueang Khong district, Thailand.